On the 16th April 2015, Darren Wall of readonlymemory.vg launched a Kickstarter campaign for funding to create a book called The Bitmap Brothers: Universe. 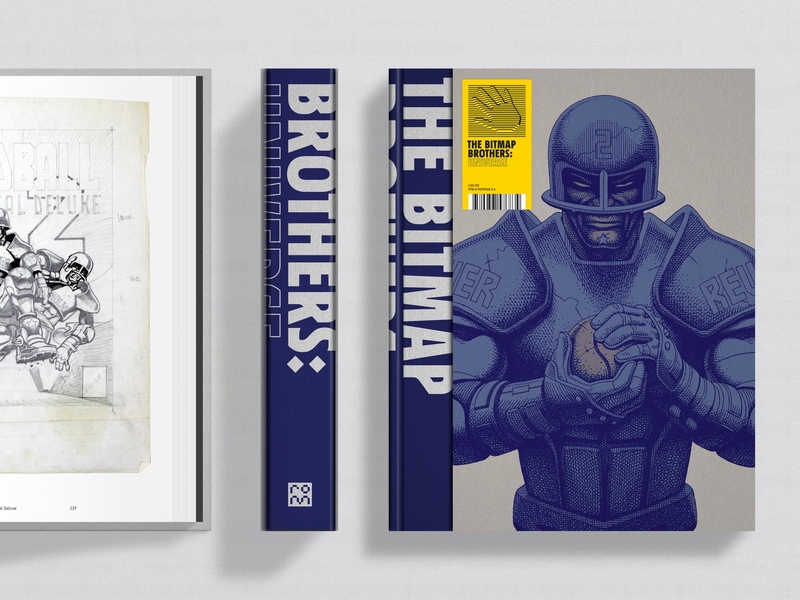 The Bitmap Brothers: Universe will be the official history of the visionary British software house. The book will combine an authoritatively written inside story, thoroughly researched via new, first-hand interviews with The Bitmap Brothers’ key figures, with a breathtaking haul of never-before-seen archive material, including original production drawings and digital artwork from seminal titles such as Xenon 2: Megablast, Speedball 2: Brutal Deluxe and The Chaos Engine. Alongside a celebration of the Bitmaps’ classic works, the book will reveal for the first time the fate of unreleased projects such as the high octane Amiga racer ‘Bike’/‘Havoc’/‘Triple X’ and the 2D Speedball successor ‘Brutal Deluxe’/‘ブルータル デラックス’. The Bitmap Brothers: Universe will be written by Duncan Harris (contributor to Edge and Rock, Paper, Shotgun, and creator of the celebrated realtime game art site Dead End Thrills). The book will be edited and designed by Read-Only Memory founder Darren Wall (Sega Mega Drive/Genesis: Collected Works, Sensible Software 1986–1999). The project was successfully funded on the 11th May 2015, raising an excellent £48,698 from 1,224 backers. The book was shipped in October/November 2016. I have helped out in the project by extracting graphics/documents/data etc from old floppy disks. The disks were in good condition, and only a few needed cleaning. All the data was successfully extracted. The disks contained original Bitmap Brothers game graphics and software for level editing as well as some documentation. Although the data was mostly easy to recover/dump, it took some time due to the number of disks, and the variety of formats, including single sided / double sided / Atari ST / MSDOS with a variety of sectors per track, and Amiga.